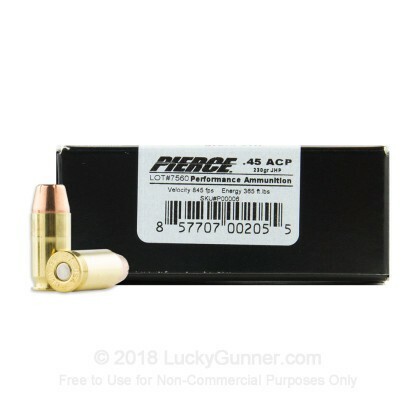 This affordable .45 ACP ammunition from Pierce Munitions works well in a variety of roles from self-defense or concealed carry to target shooting. 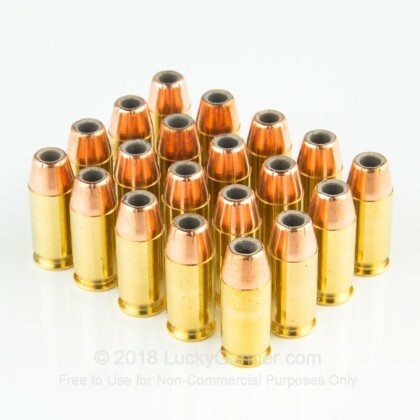 Each cartridge in this box of 20 fires a heavy 230 grain jacketed hollow point bullet at a muzzle velocity of 845 feet per second, producing typical .45 Auto ballistics. This is a standard pressure load suitable for older firearms or compact guns. 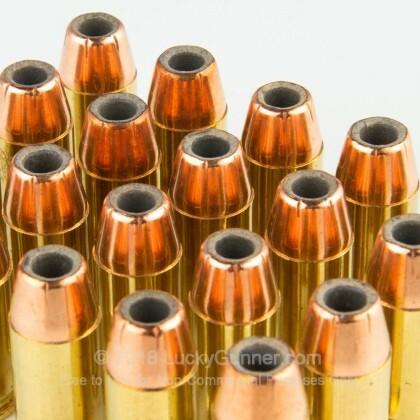 Hollow point cartridges are a necessity for effective self-defense, as they expand for maximum stopping power against an assailant. This expansion also has an important safety benefit: the bullet tends to stop in the attacker instead of exiting and potentially damaging bystanders or property. 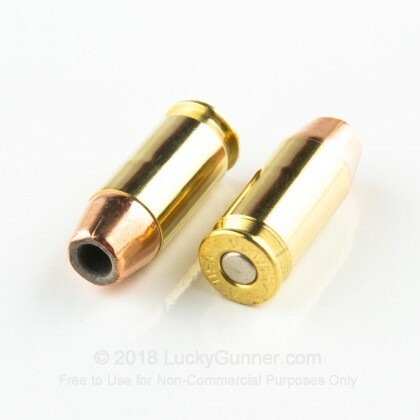 Hollow points typically have a flat-headed profile that also makes them great for target shooting due to the nice, clean holes they produce in paper. This ammunition is manufactured in upstate New York and uses non-corrosive Boxer primers and brass cases that can be reloaded. 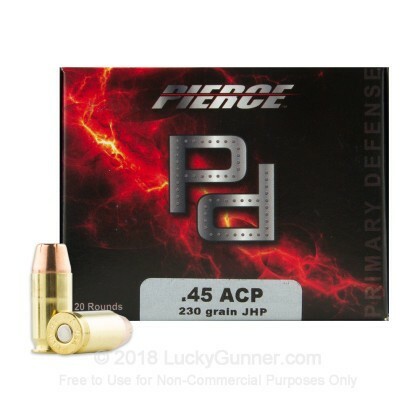 We don't have any reviews yet for this particular .45 ACP (Auto) ammo from Pierce Performance Ammunition. 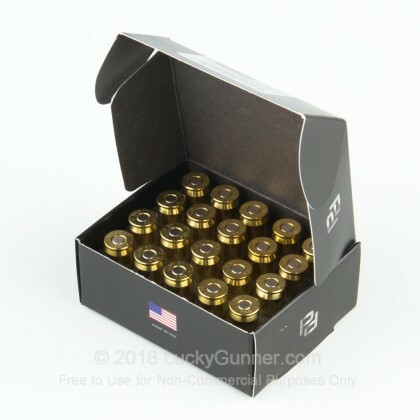 If you'd like to be the first to review this particular .45 ACP (Auto) ammo from Pierce Performance Ammunition, fill out the form below.